Sorry folks, last night I had a bad turn with my sugars and went into a hypo with my diabetes. It left me very much on the exhausted side – so I didn’t post. I’ll try to make up for that a little here. 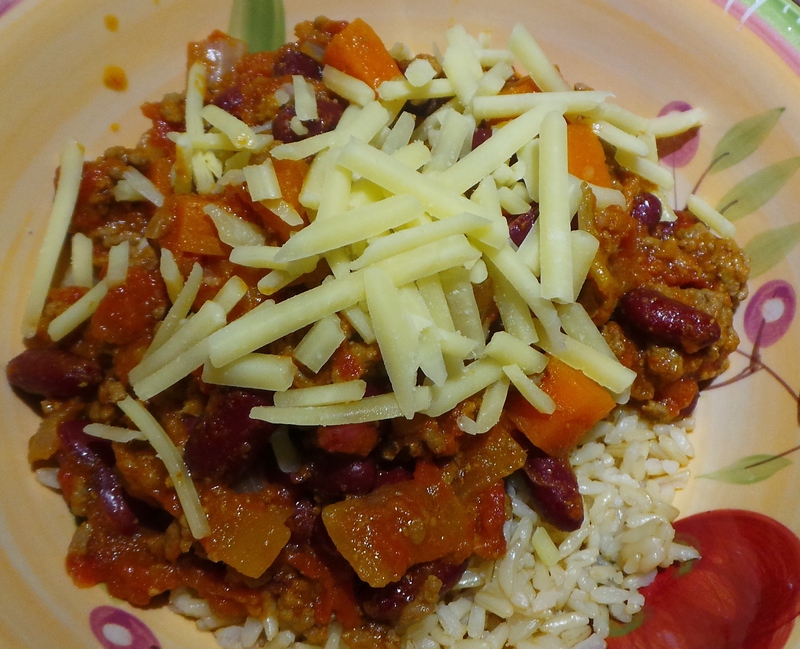 Firstly, this is the chilli we had the night before last. It was scrummy. 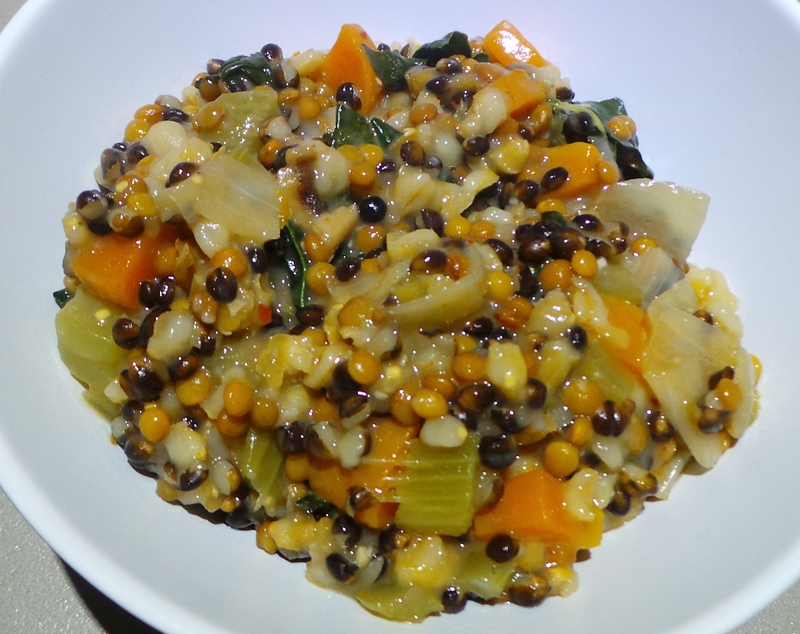 Last night we had this rather tasty lentil and barley casserole, which was just the trick given the bitterly cold day. This takes only minutes to get on the go and ticks all sorts of nutritional boxes. We worked out that it cost about $1.50 for the entire pot, or 50 cents a serve. Also, I remembered that I had that handful of Tuscan kale in the refrigerator, so I added it at the end for a touch of colour and a spark of flavour. 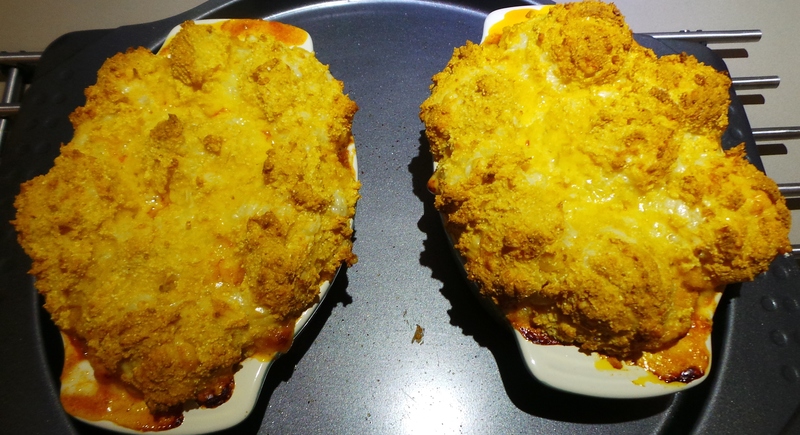 Tonight I made a Cornbread Cobbler topping and divided the leftover chilli into individual oven dishes to make Chilli and Cornbread pies. I overestimated the topping a bit, so we decided to split one between us. The other will either be frozen or had for lunch. I have my book group tomorrow night, so we will be ‘shopping the fridge’ and there won’t be a diary note.